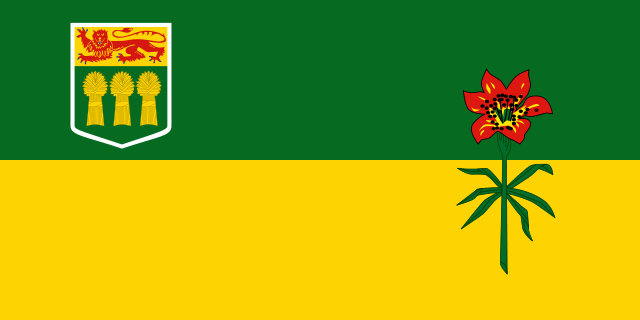 Saskatchewan is a prairie province in Canada, and it’s bordered on the south by the U.S. states of North Dakota and Montana. Over one million people live in the province, and farming and ranching are some of the most important industries. It also has the distinction of being the sunniest part of Canada, as most parts of the province experience over 2,000 hours of bright sunshine annually. Gambling is legal in Saskatchewan, and they have a mixture of commercial and tribal casinos. The province also offers a lottery, bingo, video lottery machines, horse racing, and sports betting. The latter is the focus of this article. The Saskatchewan Liquor and Gaming Authority regulate all gambling within the province, but they’ve turned over the day-to-day sports betting operation to the Saskatchewan Lotteries. In turn, this organization allows wagers on athletic competitions through a service known as Sport Select, which is also available in Manitoba, Western Canada, Alberta, Yukon, and the Northwest Territories. Sport Select is available online and at licensed retailers such as gas stations and convenience stores throughout the province. A maximum of $250 can be spent on each sports product per day at any single retail location. • Pro-Line – Predict the outcome of three to six games, with the options being “home win,” “visitor win,” or “tie.” Wagers can range from $2 to $100, although all picks must be correct in order to receive a payout. • Over/Under – For any given sporting event, the player must predict whether the final score will be above or below a predetermined number. These predictions can be made on two to ten games, and wagers can range from $2 to $100. All predictions must be correct in order to receive a payout. • Point Spread – Predict the winners of two to 12 games, although you must also take the point spread into consideration. Wagers range from $2 to $100, and the total payout increases with each correct prediction you make. For example, five out of five predictions pays 15x your wager, while 12 out of 12 pays 500x your initial bet. • Pools – Choose a specific sport and predict all the winners for upcoming games. You’ll be competing against other players throughout Saskatchewan, and your overall success rate determines whether or not you’ll win some or all of the prize pools. The fee to play is $5. • Props – Two players from a sport are matched up, and you must predict who’ll get the most rushing yards, goals, points, hits, or other measurable stat. Three to six selections can be made, and wagers run from $2 to $100. • Double Play – Combine a Pro-Line and Over/Under wager on the same ticket. Wagers range from $2 to $100, and three to six picks are required. In order to win, all picks must be correct. • Combo Play – Wager on a series of combinations for the same game using Pro-Line, Over/Under, or Point Spread. Combos can run from two to five games, and wagers range from $2 to $20. Online gambling sites cannot be legally operated within the borders of Saskatchewan, although the White Bear First Nation tribe did open one in 2012. It went out of business within two years, may it may have left the door open for additional provincial gaming sites in the future. There are a wide array of offshore casinos and sportsbooks that accept players from Saskatchewan, and residents can sign up and gamble without fear of any legal repercussions. Most sites accept the Canadian dollar as an allowable form of currency, and French is supported along with numerous other languages. Online sportsbetting has a couple of distinct advantages over the Sports Select system. The first is superior odds, a subject that has caused a great amount of friction between serious Canadian gamblers and those in charge of the national lotteries. The second is the overall selection of wagering options, as online books tend to feature several additional possibilities. While residents of the province are often passionate about athletic endeavors, Saskatchewan only has one major professional sports franchise. However, this number is bolstered by a number of smaller teams, and there’s never a lack of betting opportunities for gamblers who are willing to look outside of the traditional leagues. • Saskatchewan Roughriders – Founded in 1910, this Canadian Football League team has captured four Grey Cup wins. • Moose Jaw Warriors – A major junior ice hockey team that competes in the East Division of the Western Hockey League. • Prince Albert Raiders – A major junior ice hockey team that competes in the East Division of the Western Hockey League. They have won the WHL Championship on one occasion. • Regina Pats – Founded in 1917, this major junior ice hockey team competes in the East Division of the Western Hockey League. They captured the WHL Championship in 1974 and 1980. • Saskatoon Blades – Founded in 1964, this major junior ice hockey team competes in the East Division of the Western Hockey League. • Swift Current Broncos – A major junior ice hockey team that competes in the East Division of the Western Hockey League. They have won the WHL Championship on two occasions. While it isn’t considered a cultural hub like Ontario, the province still manages to provide its residents with plenty of diversions. Saskatchewan sports betting is among the most popular of these pastimes, with numerous convenience stores and gas stations offering betting lines on upcoming games. The odds from Sport Select aren’t always generous, but this is offset by the availability of online bookmakers within the region. This allows both casual bettors and serious handicappers to get their gambling fix, which is more than can be said for most parts of the world.